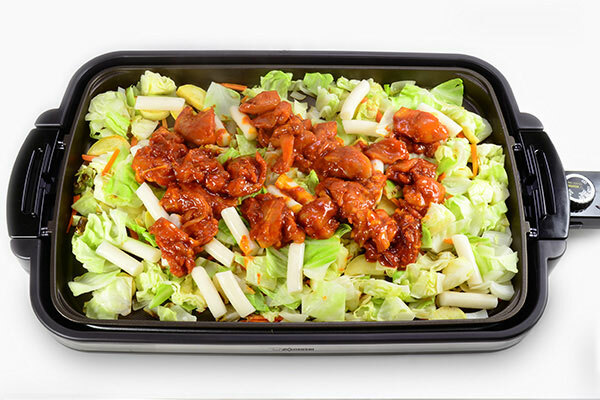 Dak-galbi is a popular Korean dish made of spicy stir-fried chicken with tteok (Korean rice cakes), cabbage, potato, carrots and onions. 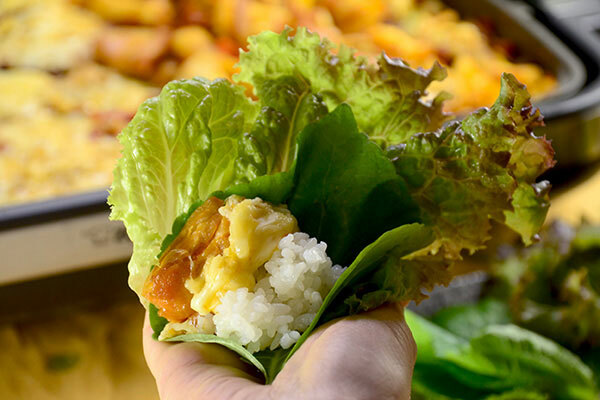 Wrap it with Kkaetnip (Korean perilla leaves) and lettuce leaves. 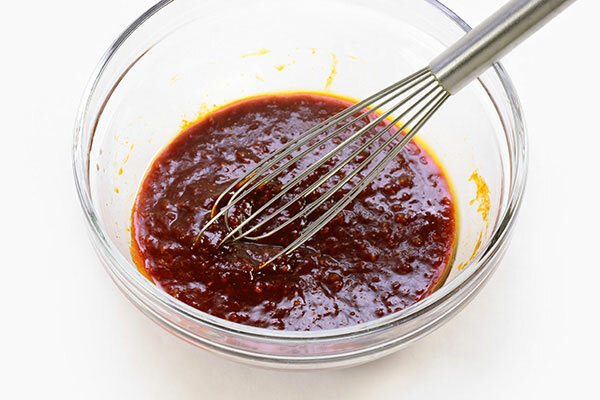 In a medium bowl, place all the sauce ingredients and mix well. 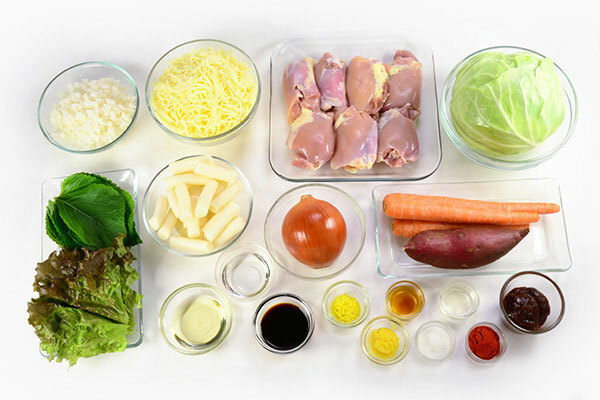 Add chicken pieces to the bowl and mix with sauce. 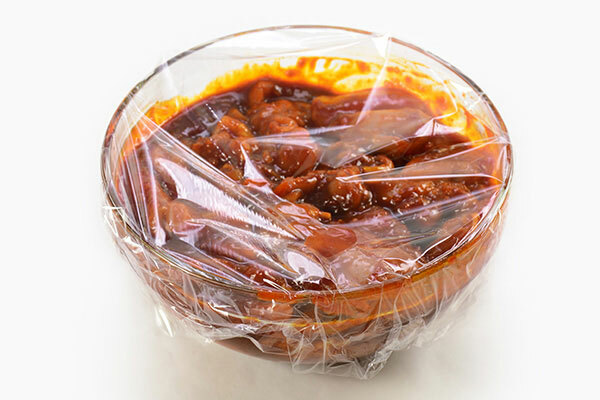 Cover with plastic wrap and allow chicken to marinate in the refrigerator while preparing for other ingredients or marinate overnight. 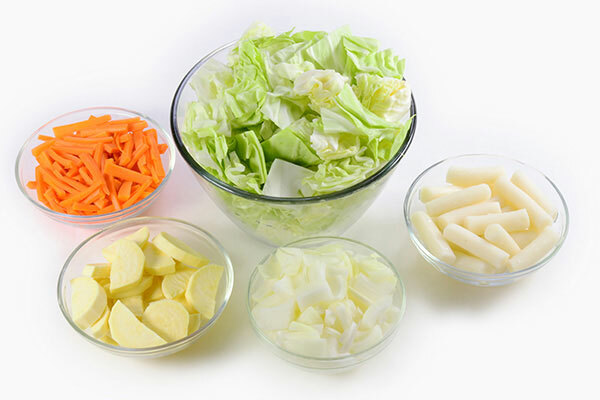 Cut cabbage into bite-sized pieces. Peel sweet potato and slice into quarter inch thick half moons. 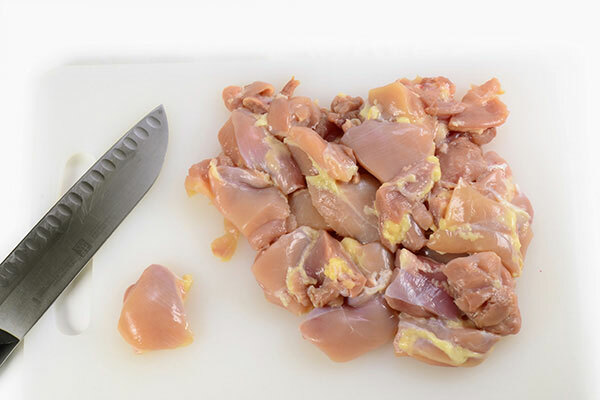 Peel onion and dice into medium sized pieces. Julienne the carrots. Rinse the rice cakes. 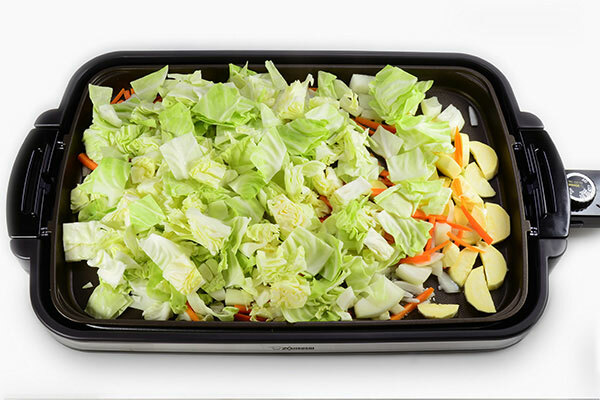 Turn on the Gourmet Sizzler® Electric Griddle, set to 350ºF, add oil and all vegetables onto the griddle. 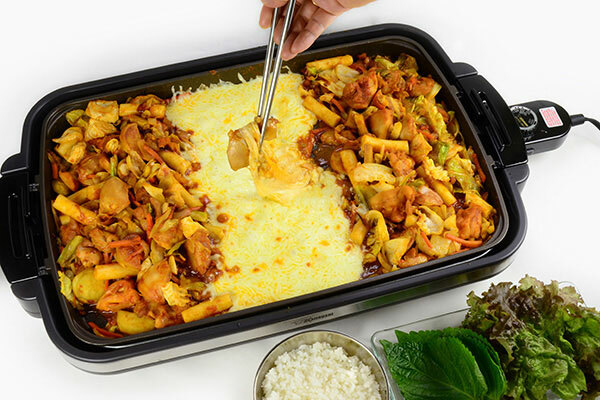 Add rice cake and chicken with marinated sauce on the top of vegetables. 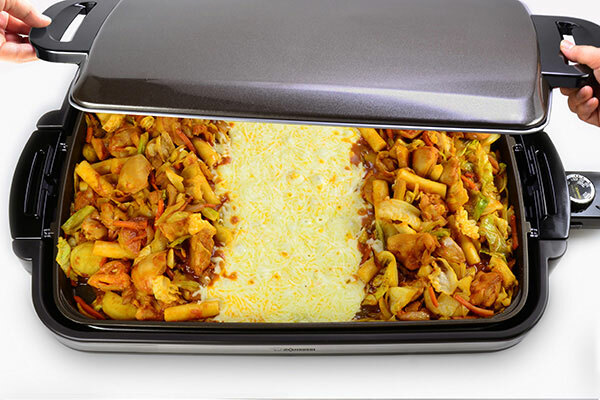 Place the lid and cook for 3 minutes. Open the lid, stirring occasionally and cook for another 5 minutes or until the sweet potato are soft. 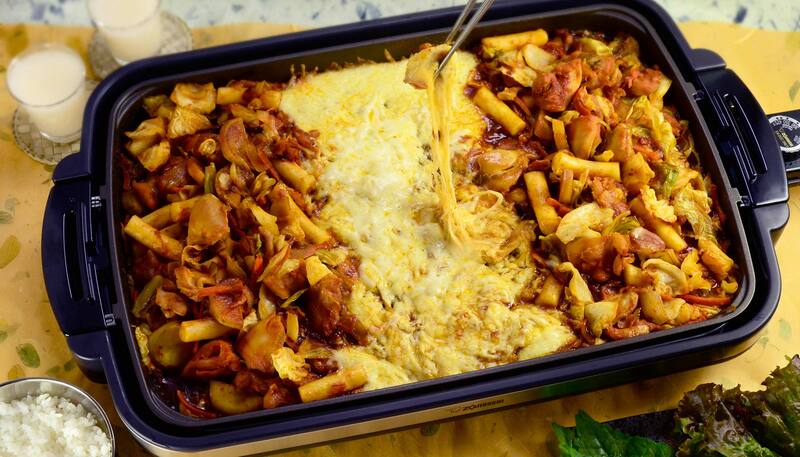 Reduce heat to “KEEP WARM.” Make space at the center with a spatula and add the cheese. Cover with the lid and let stand for 1-2 minutes to allow the cheese in center to melt. Eat directly from the griddle. Wrap with kkaetnip (perilla leaves), lettuce leaves and/or eat with rice.